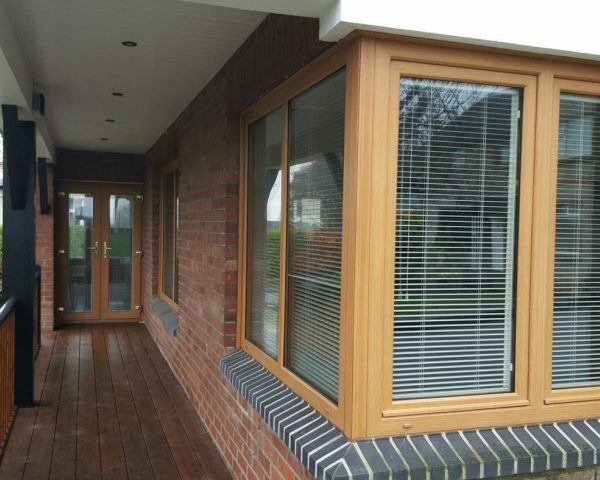 McIlhatton & Co is Northern Ireland’s foremost supplier of high quality PVC-U windows and doors. With over 30 years’ experience, we are proud of our excellent reputation for quality and customer service. From initial enquiry through to finished product, we listen to what you want and work with you to achieve the perfect solution for your home. You can rest assured that with McIlhatton you will receive a genuine personal service with quality windows and doors at affordable prices. And because we know every penny counts, our windows are energy efficient, achieving the top A+ and A energy ratings. We understand you don’t buy new windows or doors every day and when you do, you are looking for something special to enhance your home for many years. That’s why McIlhatton & Co designs superior quality windows with a wide range of styles for you to choose from. Our windows turn heads, and are probably the most attractive ones you’ll find on the market today. They are designs that will stand the test of time and we offer a comprehensive 20-year warranty on all products. We also have a range of subtle colours in an exclusive finish we guarantee you won’t find anywhere else. When it comes to fitting your choice of windows and doors, our professional and considerate installers take the utmost care of you and your home. All work is carried out by highly skilled tradesmen. Their attention to detail and craftsmanship is unsurpassed, guaranteeing you a finished product you will love for years to come. Call us today on 028 2766 5920 for your free, no-obligation quotation and survey.